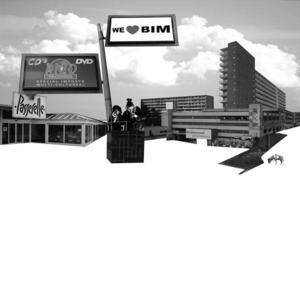 This CD is about our love for the Bijlmer and how we experience to live here. Initially the material was ment for the Bijlmer Audio guide that we produced for Imagine IC and SKOR in 2007 (see projects). Since they found it not politically correct enough we decided to release the material in 2009 on CD in the frame of the artproject MOSTLY IT HAPPENS AT NIGHT by Maaike Gouwenberg and Sandra van Dongen. There were made 250 CD's that were distributed in the Bijlmer for free: to cafes, snorders, stores and just people that live here. Unfortunately the first edition is gone so the release is not available at the moment. Because of the demand we are planning to release a second edition by the end of 2011. To listen...please check out these links.